Time to sell your Navy Cove property? Read about today's resort-market buyer. offers quick access to the Gulf of Mexico around the tip of the Fort Morgan peninsula and a short run to Dauphin Island. Navy Cove is private and secluded and would largely be considered a great second home opportunity. The complex has plenty of boat slips and a private launch for owners and guests. Please let us know if you would like further info for Navy Cove or any other condos, homes or real estate along the Gulf Coast or would like to schedule a private viewing by emailing info@condoinvestment.com or by calling (251) Area-Pro (251-273-2776) for immediate assistance. 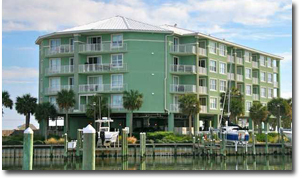 Find additional info for annual rental incomes at Navy Cove Harbor and all other Alabama Gulf Coast condos.